Surely by now you already know about the worst data breach ever. "Ugh, what should I do?!" you may be asking. * "certain dispute documents with personal identifying information for approximately 182,000 U.S. consumers." Because the investigation is "still on-going," it's better to assume that anything we've ever submitted on a credit application (or any application that gets sent to credit bureaus) has been stolen. I've boiled this down to 5 broad things that need to be done, and then we'll dive into the specifics of how to execute this plan. * First, we need to be able to assess the damage **and** check for someone stealing your identity in the future. * Second, we need to do what we can to prevent criminals from opening accounts in our name, or further damaging our credit. * Third, we need to check our statements. * Fourth, we need to make sure the right people know that this happened, and to be on the lookout for fraud. * Finally, we need to have some sort of protection/assistance should a full identity theft event take place. This is not something you want to go at alone. Seems simple, right? Good! It will take some time so please don't be discouraged. Note that throughout this, you will notice I emphasize certain things. Please take note. There is a lot of fraud, products and services that will try to take your money, and that's bad. I've put my sources at the bottom of this article and you're free to check them out. What I put here is what I do personally for me and my family. Next, we need some sort of "realtime" monitoring that can alert us to changes to our credit file. You do not have to pay for this. There are many services that you can pay for, but your money is better spent elsewhere (I'll show you soon). Go to Credit Karma and set this up for yourself and your spouse. By doing this first, you maintain your monitoring even after freezing your credit (coming soon, wait for it!). If you think this is starting to sound like an incident response scenario - that's because it is! Next we need to freeze our credit. This is not a silver bullet that solves all problems. This also can create some inconveniences. It is worth it. Now, you will be presented with many terms that sound like freeze, but they are not the same. 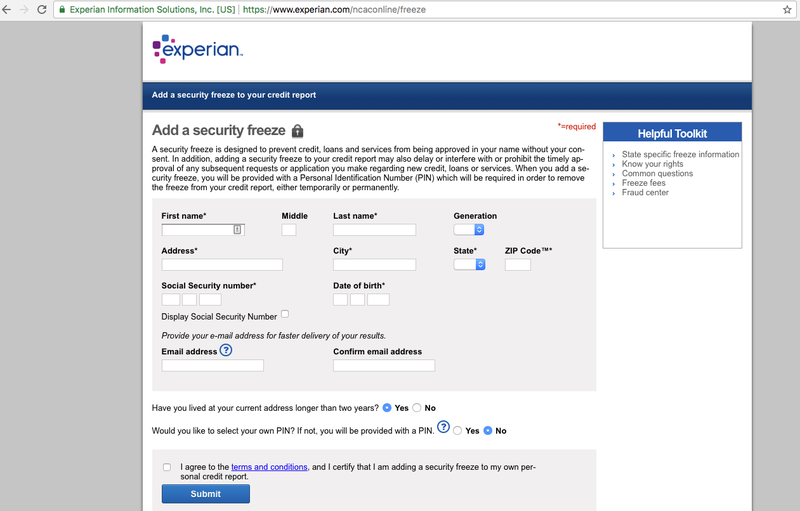 Credit bureaus do not like credit freezes for many reasons, and so they try to trick you into not doing them. Don't fall for it! Each state has different laws on what the fees are for this step, per bureau. Find yours here - hint: you can search for your state name because this page is really long. As of this writing, some of these bureaus are waving fees or reducing them, your mileage may vary. * Equifax set up a website to let you check to see if your information was impacted. Hint: it's a waste of time, just freeze your credit. are you sensing a theme? yes, the company that was unable to protect your data wants you to pay them to protect it. let that sink in. * these guys are tricky, and make you go through multiple steps to freeze. * I personally would not use their 'TrueIdentity' product, even though it's free. * remember, locking is *not* freezing. * It's not clear which creditors report to, or pull data from this bureau, but freeze it. Each bureau is going to give you a PIN. You must keep it FOREVER and never lose it. I use LastPass to keep all of my passwords, PINs and other personal data secure. I highly recommend it. The premium version is $24 per year, and syncs across all your devices. Well worth it! Alternatively, you can print and put them in a safety deposit box, but you'll need them if you ever apply for credit. deep breath. it's almost over. We need to keep an eye on our credit card and bank statements. Personally, I use my debit card for most things and I set up alerts so that every transaction or authorization that hits my credit card alerts my phone. That may be too much for you, but it's a great way to do early detection. Online banking is a thing, if you don't have an easy-to-use online banking system, please change banks. In 2 clicks I know all of my recent/pending transactions and my balance - there's zero reason to take any longer than that. "It’s also a good idea to notify a company called ChexSystems to keep an eye out for fraud committed in your name. Thousands of banks rely on ChexSystems to verify customers that are requesting new checking and savings accounts, and ChexSystems lets consumers place a security alert on their credit data to make it more difficult for ID thieves to fraudulently obtain checking and savings accounts. For more information on doing that with ChexSystems, see this link." This can be done over the phone, online and through the mail. The idea is that it helps add a layer of security to your identity. ID thieves like to intercept offers of new credit and insurance sent via postal mail, so it’s a good idea to opt out of pre-approved credit offers. If you decide that you don’t want to receive prescreened offers of credit and insurance, you have two choices: You can opt out of receiving them for five years or opt out of receiving them permanently. This step is NOT free!! There are lots of services that want to sell you "credit monitoring" and "identity theft protection" - all of which do absolutely nothing. They simply passively monitor your credit and just say "Hey, someone opened an account in your name. Hope it was you!" Well, if you've been doing these steps in order, you already have that in place with Credit Karma. Does it cover all networks and transactions? Nope. But neither do the other guys, and they want you to pay for theirs. It's worth it. It's the cost of one fancy coffee per week. Brew your coffee at home one day. That's it! Now to the boring stuff. Credit freezes create some inconveniences. 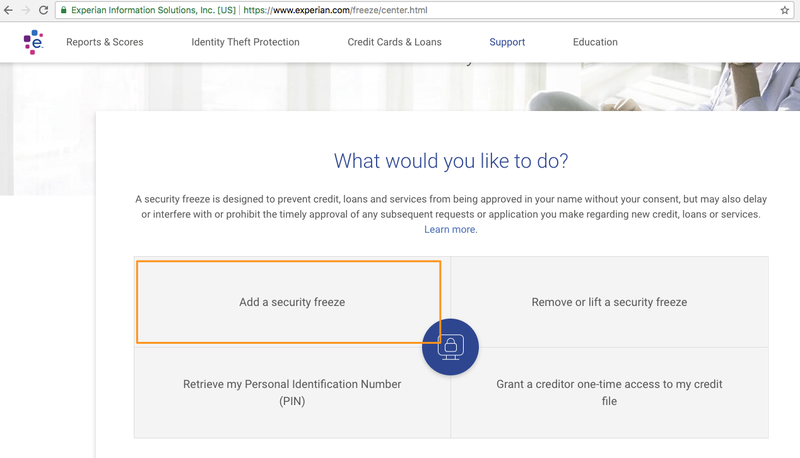 When you freeze your credit and need to apply for credit (mortgage, car loan, credit card, etc. ), you have to thaw it. This process allows creditors to temporarily access your credit file for whatever you're applying for. To thaw your file, simply go to each bureau and go to the appropriate section to lift a credit freeze or thaw your file. They will ask for your PIN (provided during the freeze), and then choose how long you want your credit to be open. I personally have done this several times, and the thaw generally takes an hour to "take effect." It's super simple and automatically closes at the date you specify. It's also not complete. Unfortunately, not all creditors will even check your credit file when issuing credit (weird, isn't it?). This is why checking your credit file annually is so important. Did I mention it's FREE?! It's unlikely that minors have credit files. If they do, you should consider it. State rules differ, so make sure you look into the specifics for your state. More info available here and here. Well now, seems like there's a lot of information here, and you may not even believe a word I wrote. So, here are some links to specific articles I used to help write this, along with some folks that are way smarter than I am.